On an inauspicious morning at a Dutch library, a librarian makes an unexpected find in the overnight return box - a weather-beaten Baedeker guidebook 123 years overdue. Determined to track down the borrower and give him “the fine of his life,” the librarian studies the book for clues on the miscreant and follows the leads on a globe-trottingjourney that takes him from London to China, from Australia to New York. Throughout his trek, he unlocks ancient mysteries and discovers insteresting truths about himself. Funny, touching, and surprising, this compelling adventure by Glen Berger is storytelling at its best. PlanetVero.com - Review: "Underneath the Lintel" is a don't miss production! Brevard Culture - Review: "Underneath the Lintel is a thoughtful, philosophical production with resonating themes that will get you thinking." 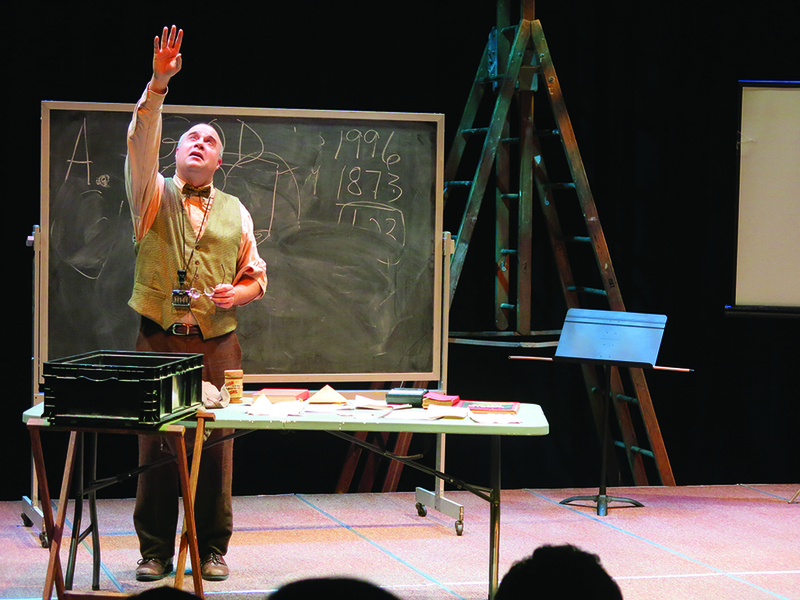 Vero Beach 32963 - Review: "Underneath the Lintel: A seriously overdue library book"
Jim is pleased to be returning to Riverside Theatre after being away for almost a decade. 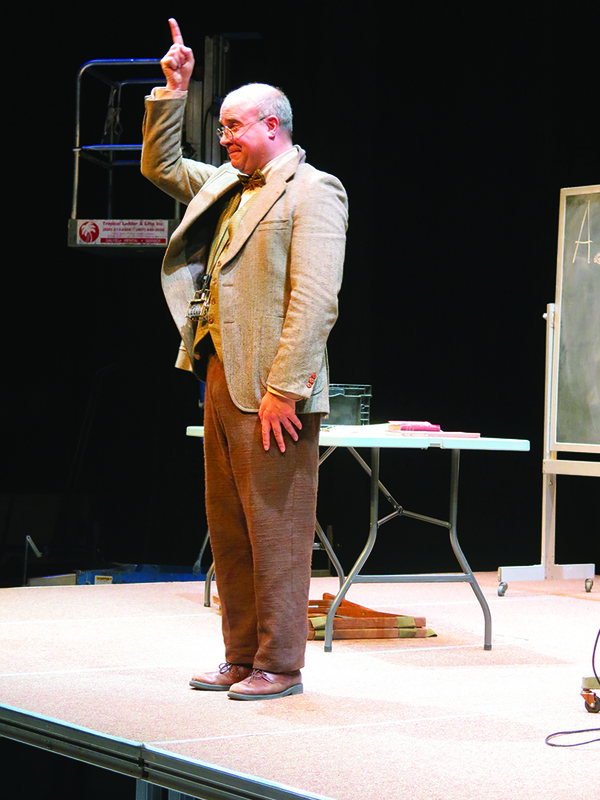 Previously, he appeared in the Riverside productions of Sylvia, Rounding Third, She Loves Me, and Three Viewings. 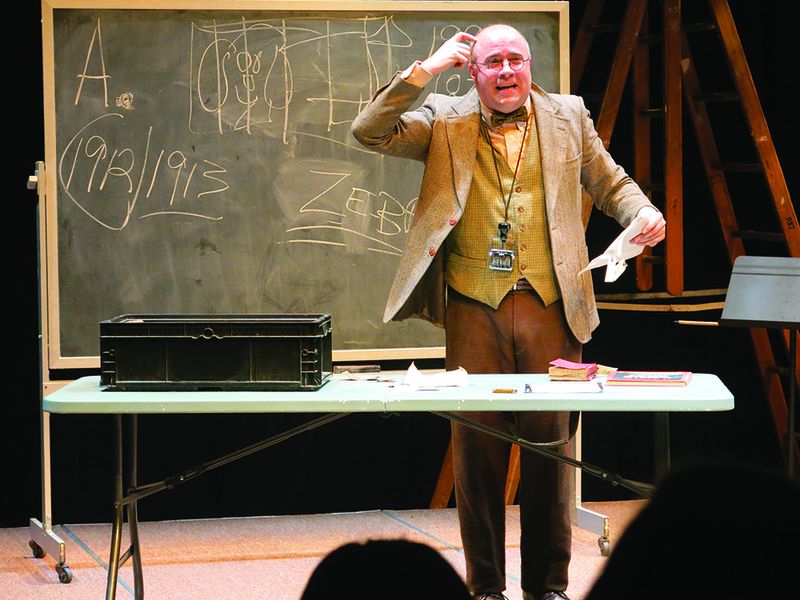 Now an Associate Professor of Theatre and Head of Acting at Cornell College in Mount Vernon, Iowa, Jim continues to perform -- having most recently played Rothko in RED at Iowa's Riverside Theatre. A member of Actors' Equity Association, Jim spent three years as a resident actor with the Barter Theatre and has performed throughout the country in such regional theatres as The Bread Loaf Acting Ensemble, The Fulton Opera House , Iowa's Riverside Theatre, Florida Rep, Iowa Summer Rep, The Old Creamery Theatre, The Riverside Shakespeare Festival in the Park, The Connecticut Theatre Festival, and North Carolina's Temple Theatre. He holds an MFA in Acting from the University of Iowa and an MA in Theatre Arts from the State University of New York at Stony Brook. -- For Brenda and Maysie.